When it comes to Exterior Power Washing there is only one company to take care of your needs, and that’s Cavalier Window Cleaning & Power Washing. For years we have been the choice for cleaning exterior vinyl siding. No matter what material you have on the outside of your home, let us take care of your needs and start prepping for the summer. Call today to get rates on a service that will definitely put a smile on your face. There are lots of great options when it comes to siding today, but what about cleaning it? Have you put much thought into the maintenance that will be needed for it? 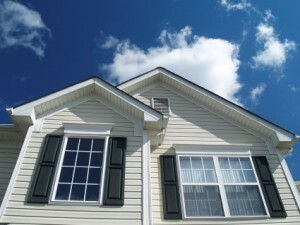 Every spring homeowners struggle with the thought of having their siding cleaned. Grime that’s built into the siding can be tough to remove. Simple home and mildew cleaners won’t take off all those years of grime. The experts at Cavalier Window Cleaning & Power Washing utilize the best cleaning method for vinyl. Brick, on the other hand, is tough and able to withstand years of weather and other abuses. But brick can also be a challenge to clean. Grime and bacteria can easily be removed from brick with a power washer. There are many exterior siding wood options for the home that can create that rustic feel. If you have wood siding on your home and are looking to maintain it in Charlottesville, power washing is a great choice. Power washing wood will neither damage nor strip the siding. Your newly-cleaned siding will turn heads in your neighborhood and give you years of lasting beauty. Now that’s enough to want to make you want to get our services done more than once per year. Fiber cement siding has been around for many years. It comes available in many different shapes, sizes, and finishes. It is an insect-repellent siding that’s durable and doesn’t require much maintenance. If you have it power washed at least once per year, exterior siding Hardi-Plank siding will continue to give you years of usage without any problems. If you have any questions or concerns about our exterior cleaning services; please call us at 434-823-1737 and learn all the benefits that our services can deliver. We’ll educate you on how to maintain your exterior and keep that shine lasting for many years. If you are looking for Exterior Siding Power Washing Services then please call 434-823-1737 or 540-910-1434 or complete our online request form.